If you’ve been paying attention to Bitcoin’s price lately then you’ve probably noticed the huge drop in its price in the last couple of days. But even though the price has fallen below $200 in some cases there’s no need to panic. About a year ago I’ve written a post about the different characters in the Bitcoin universe. Here’s how each one of them can profit from the current situation. The first most obvious advantage of this situation is that you can get Bitcoins at dirt cheap prices. The last time Bitcoin was this low was around October 2013 – almost 14 months ago. 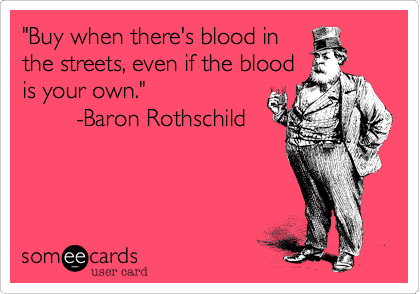 There’s an old saying by Baron Rothschild that goes “Buy when there’s blood on the streets…even if it’s your own”. This is one of the best opportunities in the last year to buy more Bitcoins. People often seem to forget, or they are completely unaware that it’s possible, to short sell Bitcoin and profit from price drops. Short selling is usually done through companies such as Plus500 or AvaTrade who allow you to trade Contracts for Difference. For those of you who are unfamiliar with this short selling basically means borrowing an asset, such as Bitcoins, to sell at current prices. Then, later on you can purchase the Bitcoins to pay back the person or organization you borrowed them from when selling the first time around. Hopefully when you go to repurchase the Bitcoins, prices will have dropped, so it will be cheaper to purchase the assets that need to be paid back. If you’re getting paid in Bitcoins as a merchant then this might be a good opportunity for you. I don’t mean if you’re accepting Bitcoins through Bitpay or some other service like that exchanges Bitcoins immediately to dollars. Rather if you’re actually charging people Bitcoin that you get to keep. I see this as an advantage since you’re getting a lot more coins on each sale now. For example – I get paid $15 worth of Bitcoins when someone buys something from me, so today I make around 0.075BTC where as a few weeks ago I would have made only 0.038BTC. Of course this is mostly valid if you have some fiat currency as backup. Don’t you love short selling? I mean I am so happy the price is going down as I stand to make a little fortune as it stands. Even if it stays like this which I doubt it will, I will make a lot of profit from this. So many experts out there! 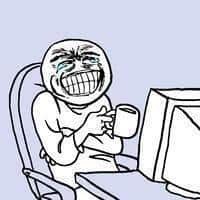 It will be fun to laugh in their faces when the price starts going up and keeps that trend. There are some fun days ahead :)! It’s good to see someone being optimistic about this because many are laughing or crying about this price drop. Come one people? Hasn’t this happened to other stuff? It will just get back on top – this is just how prices go (up and down) so why cringe about it? I feel like an investor right now and although I don’t have that much money, I will surely invest some in Bitcoins. 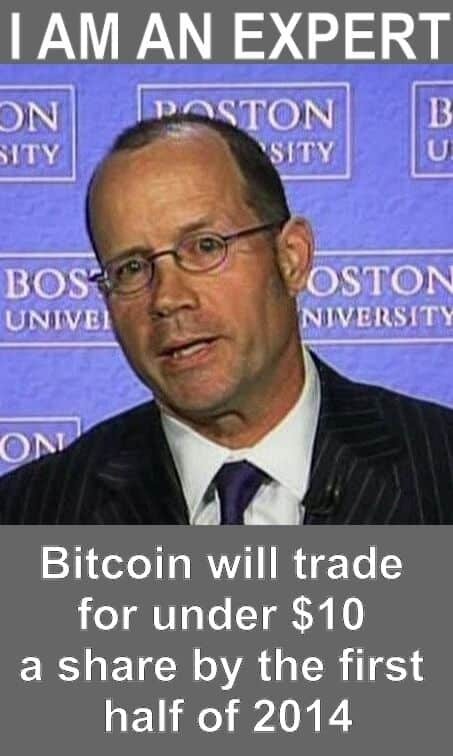 This is the perfect time to buy more Bitcoins! I think the price might even go lower – $180 maybe? That’s about the price I think I’ll wait for to get some Bitcoins at. I am a believer as well and think this cryptocurrency is here to stay.